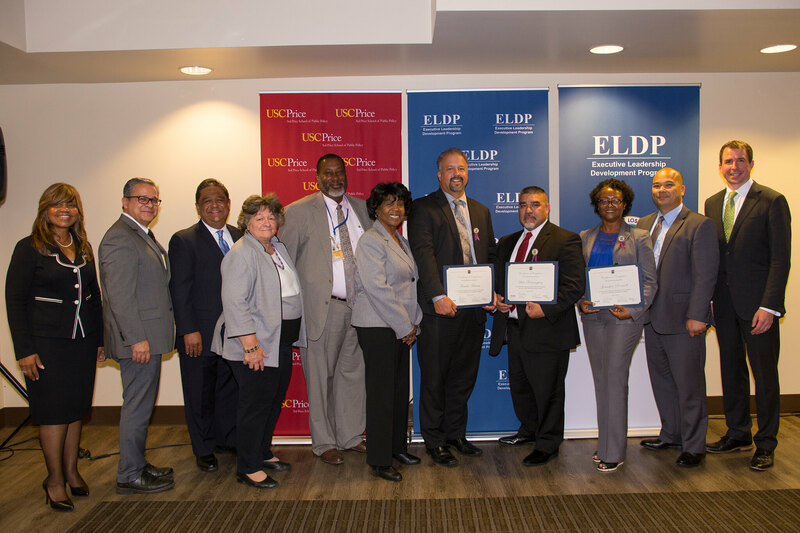 The USC Price School of Public Policy celebrated the accomplishments of 30 public servants who completed the recent Los Angeles County Executive Leadership Development Program (ELDP) and California Institute for Behavioral Health Solutions Leadership Institute (CIBHS LI) on June 21. The group – who included managers and leaders across all departments countywide – was recognized at the Participant Recognition Reception at the USC University Park Campus. The EDLP is part of the USC Price School’s Executive Education in Sacramento program. 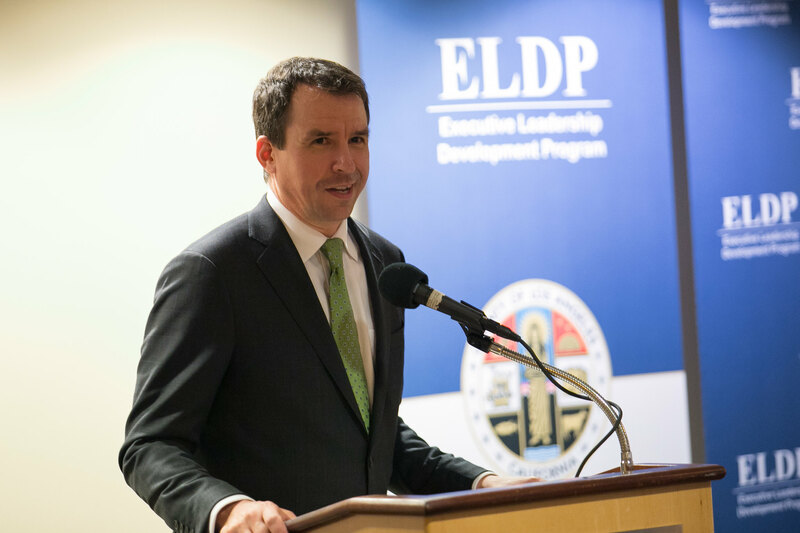 Since 2013, ELDP has modeled the best of executive education training for experienced public administrators through in-person and online sessions and executive coaching opportunities. Over a 14-week timespan, topics focus on ten leadership competencies: effective communication; building, managing, and leading teams; establishing and implementing a shared vision; change leadership; building consensus and commitment; influence and negotiation; partnering; political acumen; outcome-based decision-making; and managing projects. For the other major executive education program in the spring, the CIBHS LI celebrated its graduation dinner in Downtown Sacramento on June 13. Thirty-two county-level and nonprofit mental health and substance use disorder leaders were recognized. The CIBHS LI is a comprehensive leadership development program, specifically for behavioral health professionals. It is offered in collaboration with CIBHS, USC Price Executive Education in Sacramento, and the California Behavioral Health Directors Association, providing behavioral health leaders the opportunity to discover and expand their leadership strengths; to learn and explore new skills with their peers; and to learn from recognized practitioners and presenters. This spring’s program faculty included USC Price Professor Carol Geffner.